Birthday celebrations call for something a little special. Since snagging this fluted J. Crew skirt, its been the piece in my closet that I want to grab and wear with everything. I wore it with a tee tucked in last week, but wanted to try something that I wouldn't normally wear for my birthday. 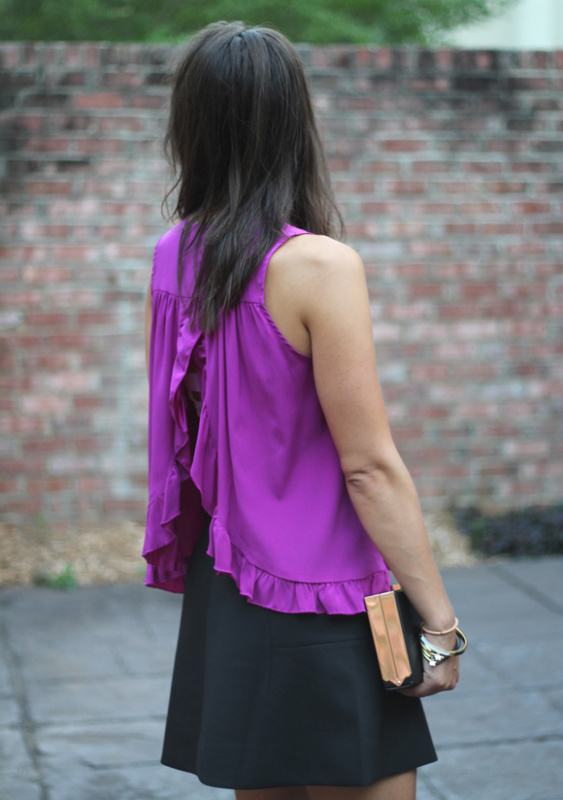 This Alisha Levine ruffled open-back blouse is a great length to wear with a skirt. So many of my tops are long and over-sized, so this top is key for pairing with high-waisted trousers/jeans and skirts. 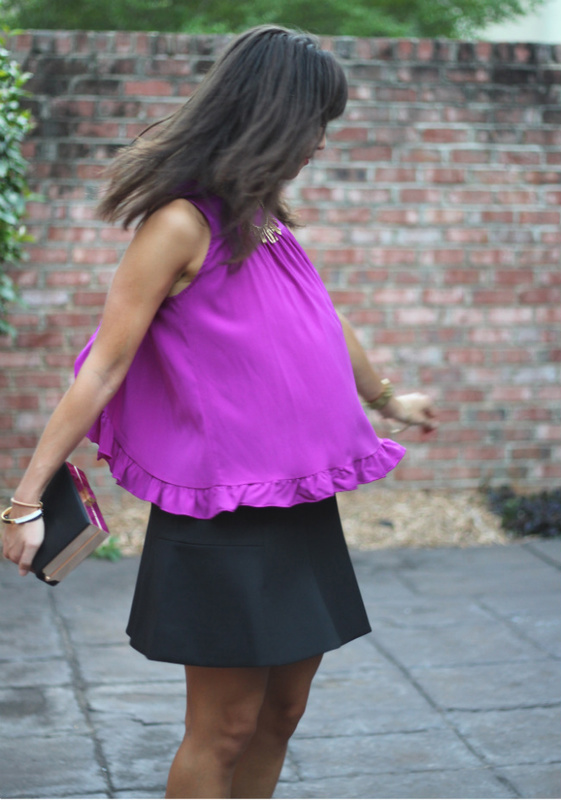 The color really pops and the open back ruffle screams party, but in a good way. 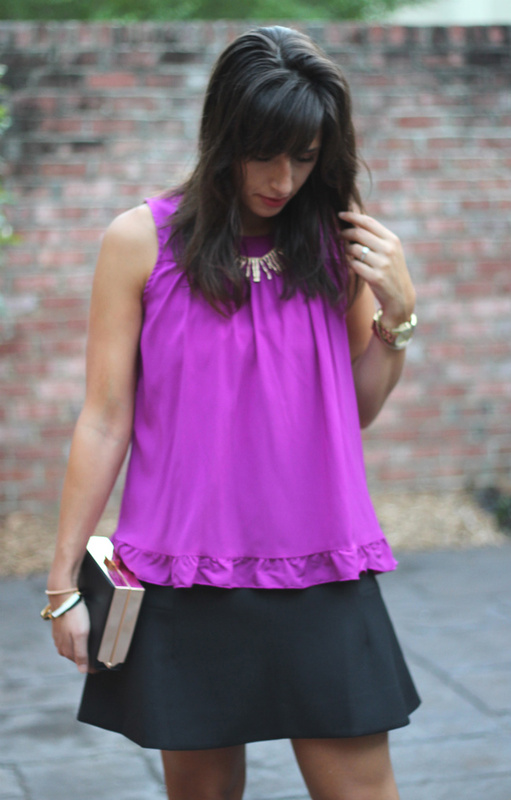 I'm finding that this skirt is even more versatile than I thought and there are so many silhouettes to try. Next stop, over-sized sweater with boots for the fall. I'm ready. Ok, please let me know when you find a good over-sized sweater! I'm on the hunt but haven't found one that I love yet...Happy Birthday! You look so darling in this! Love it! Happiest Birthday wishes! !